In the predominantly Republican state of Arizona, two women battled it out in the Special Election for Congresswoman of District 8. Although in most races, there is a winner and a loser, both emerged victorious from the election. 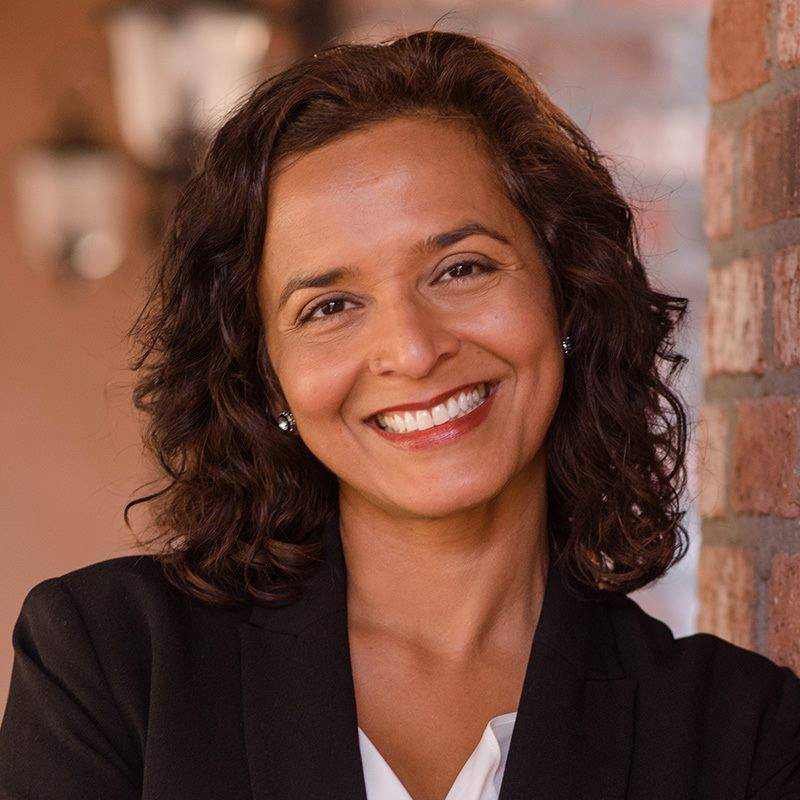 While Republican Debbie Lesko secured the position of Congresswoman, Dr. Hiral Tipirneni was able to narrow the gap between Democrats and Republicans from the 2016 election by 16 points! This bolstered Dr. Tipirneni’s decision to run for Congresswoman in the November election. I had the opportunity a few weeks back to interview Dr. Tipirneni again. While in our previous conversation (http://azindiatimes.com/epaper/epaper/edition/39/november-edition), we mainly focused on her bold decision to run for Congress in a grassroots campaign, this time we discussed the outcome of the Special Election and her plans for the upcoming election in November. What are your thoughts on the outcome of the Special Election? I’m heartened by the results. Obviously, we would have liked to win the race, but I’m really proud of the progress we made, especially considering that this is the district where nobody thought we had even the slimmest chance of winning. We got a larger Republican crossover vote than any Democrat in the state and we won two-thirds of the Independents. I think we’ve shown them that it’s important that every seat is contested and that every race is worth running and investing in. I’m very excited about having an opportunity again so quickly to close the gap. What do you plan to do differently in terms of campaigning and strategy for the November election? I think a couple of things were unique to the Special Election. The timeframe was especially challenging-for me, as a first-time candidate, a lot of the campaign was about name recognition, and we had only about a month from the time of the primaries until the ballots were mailed out (Arizona has a large mail-in ballot vote). We crossed that hurdle and the task now is to reach out more to Independents because we just grazed the surface on that before. We also want to continue to talk about the issues that we think impact their lives and focus on ensuring a greater turnout on the Democratic base. With this being midterm, and other races also on the ballot, we are hoping to have at least another 10-15% voter turnout as well. Do you plan on making any changes to your platform, especially considering the current controversial immigration policy reforms? It’s heartbreaking to see what is happening currently. We have to deal with these asylum seekers with heart and compassion and keep families together. I have a very detailed plan that’s coming out soon on my website that addresses the current crisis. I look forward to engaging with Congresswoman Debbie Lesko on this issue because she doesn’t really have any plan out there except to build the wall. We’ve seen in the past few months, especially with the March for our Lives, that students are becoming increasingly invested in politics. So, what else can they do to stay engaged? I have been thrilled to see so many more young people get engaged and involved, especially with this issue of gun safety that has been leading the charge. We know that the things we’re fighting for are going to impact their future more than anyone else’s, because they’re going to have to deal with the consequences of the decisions being made now. We would love for students to be more involved with the campaign, or just be out there and realize the importance of their voices, feel empowered, and continue to encourage their peers to be more politically engaged. They can make sure that everyone that is able to vote is registered to vote, that they understand the importance of voting in every single election and realize that they can be involved in the political process in so many different ways, whether they volunteer for campaigns, go to protests or marches, call their senators or Congress people, or even write for the paper and inform people about issues, elections, and candidates. Do you plan on focusing more of your efforts on Democrats rather than Republicans? The state and county parties are working diligently at a coordinated campaign, which we are also part of, because turnout impacts every single race and is going to help all of us. In the meantime, our campaign will be primarily focused on persuading Independents and any disaffected Republicans. Independents are the largest growing percentage of the electorate, however, they mostly feel left out of the conversation. So,we want to make sure they are engaged and aware of the issues, and we need to let them know they are vital to not just our campaign, but our state, as far as swaying the direction that we go in. With so many hot topic issues in the air right now, people tend to start throwing out labels, and the discussion shifts from policy to party. This contributes to the feeling of division that many Americans are feeling right now, where it’s no longer healthy debate over policy, but two parties pitted against each other. So as a Democratic candidate, do you view the Republicans as a barrier and opponent, or are you blind to the party name? From day one, our campaign has been about the issues - it's never been about the party ideologies. I am a proud Democrat and I know what my values are, but I think I have a proposed solution that is more moderate, because I understand my district, and that's really where most people sit. Either everyone is conservative or on the moderate center side. I've never run my campaign based on the national Democratic agenda or the national Democratic platform, and I will continue to stay that way, because it's really about the solutions, and I think that's the reason we were able to sway so many Republicans and independents - we've been focused more on how we make progress moving forward rather than fight about our ideologies. In a portion of the interview that was not included in the article, Dr. Tipirneni discussed the importance of Precinct Committee persons to the party and campaign. We encourage you to get involved in the political process by becoming one, as one of the only qualifications is to be a registered voter in a party, meaning students can also run! For more information on Dr. Tipirneni, check out her website: http://hiralforcongress.com. There, you will be able to find her revised immigration reform policy and ways to contribute to and volunteer for her campaign.